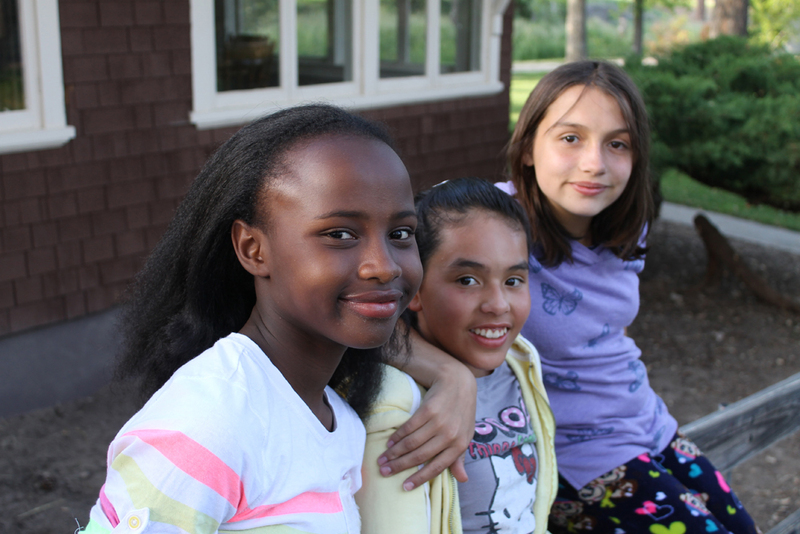 Three soon-to-be-7th-graders hang out at school camp in Prescott, May 2015. “Imago Dei” means “image of God,” and it refers to a belief that every person is made in the image of the divine, and is worthy of love, care and respect. Imago Dei scholars are boys and girls grades 5-8 from diverse Tucson families, all of whom qualify for the free or reduced school lunch program under federal rules. There is no other qualification for admission. Currently, our student body is 100% minority, with the majority of our students being Latino, followed by refugees from African conflicts, African-American and mixed-race students, Native Americans, and others. Many come to us well below grade level; nearly one-third of our scholars are English Language Learners. We rejoice in the diversity of our students and our community. While we are an independent Episcopal school, none of our current scholars is Episcopalian; we warmly welcome and respect the beliefs and traditions of people of all faiths, and of those who have none. Low-income children with similar demographics in Pima County achieve a high school graduation rate between 60 and 70%. But more than 90% of Imago Dei alumni old enough to have done so have graduated high school. More than 80% are pursuing college or career training. Helping children achieve their full potential, thereby stabilizing and strengthening their families and our community as a whole, is the purpose of our school. We can’t wait to see all that these young people achieve!